Boyds, Md. 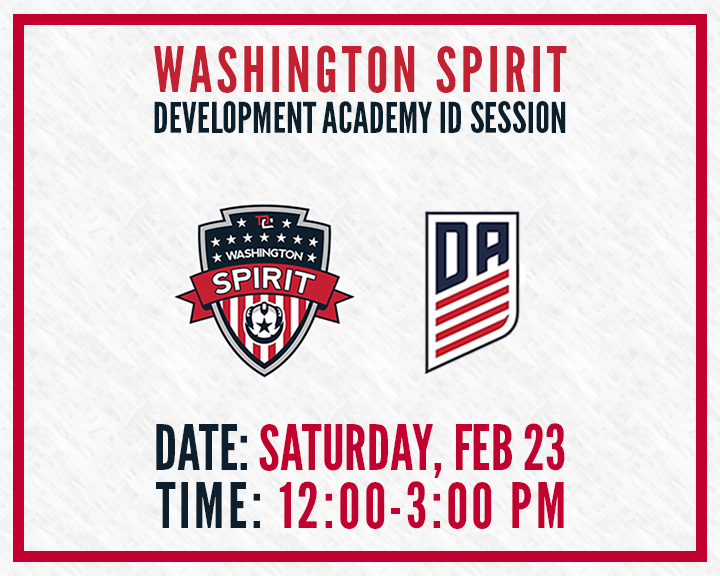 (Feb. 13, 2019) – The Washington Spirit Academy – Virginia program has announced a February ID Session for prospective players coming up on Saturday, February 23. Players in the D.C., Maryland and Virginia area interested in playing for the Washington Spirit Development Academy are highly encouraged to attend an ID Session. During these sessions, players will get to run through the paces and test their skills under the watchful eyes of Washington Spirit pro and academy coaches. The Washington Spirit operates the only two U.S. Soccer Girls’ Development Academy programs in the greater Baltimore / Washington Metropolitan areas that are connected directly to a professional women’s soccer club in the National Women’s Soccer League.